This is out of the infographic files. 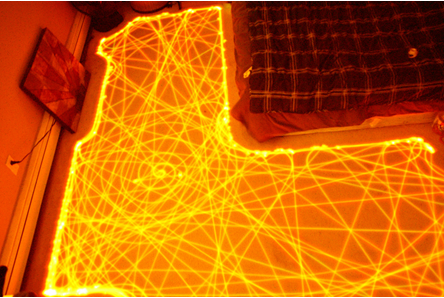 What do you get when you take a long exposure photograph of a Roomba doing it’s thing? A really cool image that looks like a flight plan out of LaGuardia.